2013 has been so hot. We’re at more than 1200 downloads and counting, Play SQL has just been featured as a top pick of Atlassian 2013 in the December mailing list, as reported by one of my customers. This is a well deserved reward, since few add-ons have scaled from the ground to a full-stack solution with customers in such a short time. It’s been such an extensive success, from creating the company to setting up the websites (publishing an SEO plugin on the fly to pimp up the Google ranking), creating two separate offers (freemium and paid) and providing support. Thank you, customers! 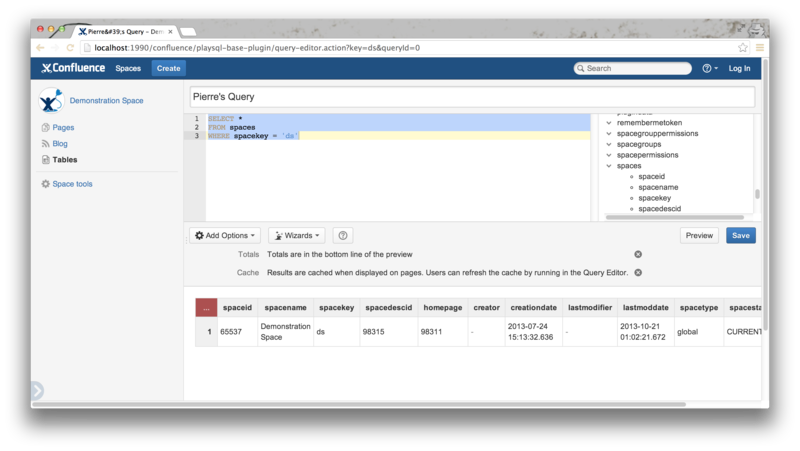 Those elements have been features in the SQL Microsite, however what’s better than documentation? Wizards! 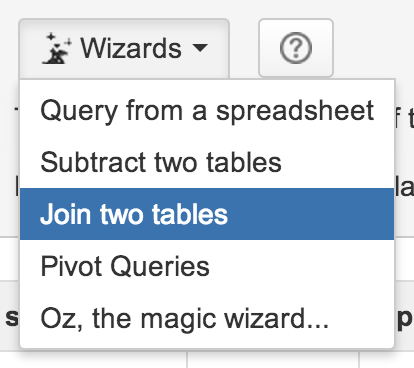 The last wizard lets you ask for support in creating your query. We hope this is an engaging way to create a relationship with end-users. Sure! We’ve included Heroku Postgres, for companies who are used to other databases. The wiki is using it everyday and it works well, even with servers across the globe. In 2014 we’ll focus more on use-cases than generic usages. We’re intensely trying to interview users and watch people using the tool. We have many interesting remarks like “Hey, if I put a date in that field, could it become a reminder?” What’s interesting there is, it’s not a database front-end anymore, it’s a solution that’s getting appropriated and pawned by the users. As said in the paragraph above, the best remarks come from interviewing users. Please take contact with us if you’re deploying Play SQL in your company for a specific purpose. We can organize something great. I hope the wizard is optional so database developers can still just write queries directly. I work a large scale ERP system for retail companies and it’s very hard to get users away from using Excel for everything – they even want to use it to input data and this might provide a bridge for that i.e. they can cut and paste data provided by suppliers in Excel and we can retrieve it and process it into the database – but would need to support Oracle as a backend – i’ve just downloaded the trial so will see how it goes. Yes of course, people can just write their own queries and not use the wizards. There is no support for Oracle. From what you say, since you just want to read from Play SQL and write into your ERP, it shouldn’t matter that the database is PostgreSQL. Best of luck with the trial and please contact me through support when you need help.